I’ve gardened here for over 10 years now, and worked with what was there was when I bought the house, mainly adding to it plant wise. I’m passionate about herbaceous perennials and concentrated on building my collection, but that meant I gardened like a collector preferring to buy single plants and having many different ones, rather than focusing on impact planting. But I was happy, and each year trimmed back a bit more of my lawn (makes it sound much grander than the reality) so I could fit in more plants. Then I decided to treat the grass to a regular visit from one of the lawn care franchises – and for a season it looked fabulous! However, in the following year something went horribly wrong with one of the treatments in the Spring; I think the mix was too strong – and it looked awful – for pretty much the entire summer! My kitchen sink looks out at the garden, so there was absolutely no ignoring it – and no matter how lovely the plants were looking, the grass let down the overall effect. I made the decision that the grass would have to go. I have a friend and neighbour who is a garden designer – we got talking about my plans to take up the grass. 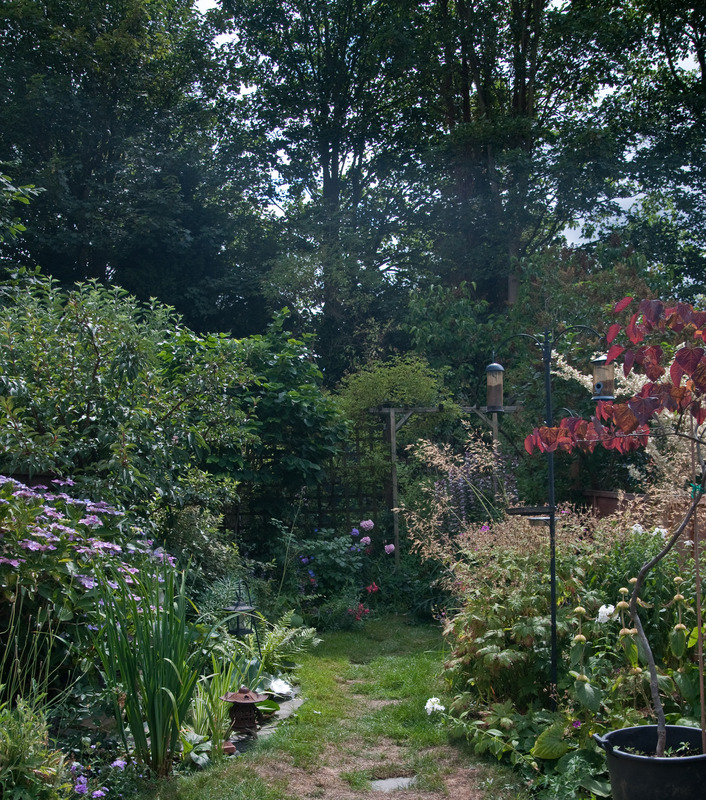 We walked the length of my garden together, she pointed out to me that owing to the way I’d allowed my garden to evolve I was shutting off what amounted to about one third of the entire plot. My garden is not large, it is quite long but very narrow, so a third of it was a lot to lose. We agreed that she would draw me a plan. This entry was posted in Creating my garden, In my garden and tagged kitchen sink, lawn care, perennials. Bookmark the permalink.